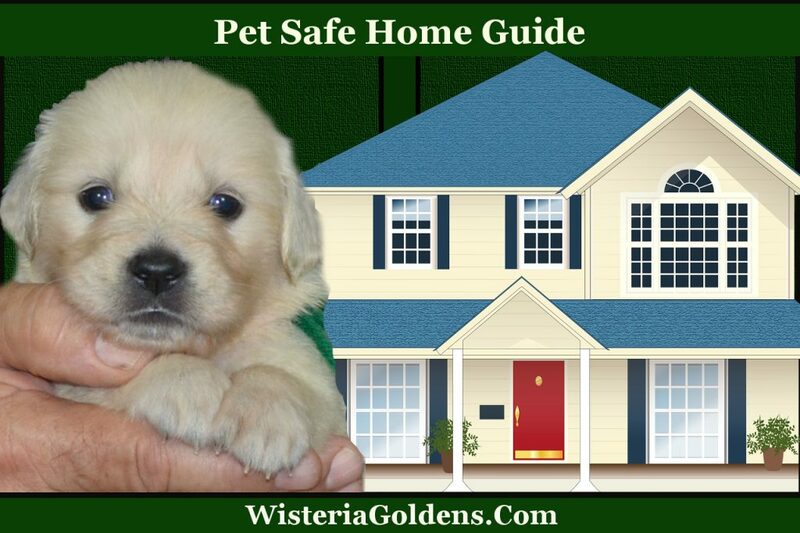 Dangers for Dogs: Pet Safe Home Guide discusses several safety issues to consider when you are making your home pet safe. Many of them are also issues you would consider for people and especially older adults, babies & children. The important take away from today’s article is to do the research (begin with the resources provided) and make a list of the dangers in your home, in the yard, or other areas where your dog may be exploring. 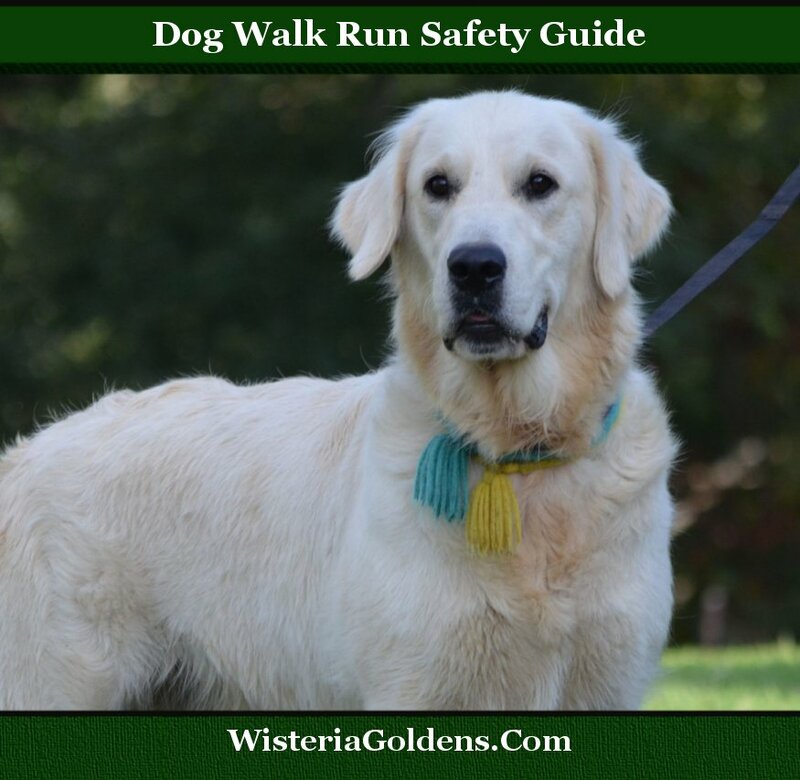 Dangers for Dogs will often fall into two categories. 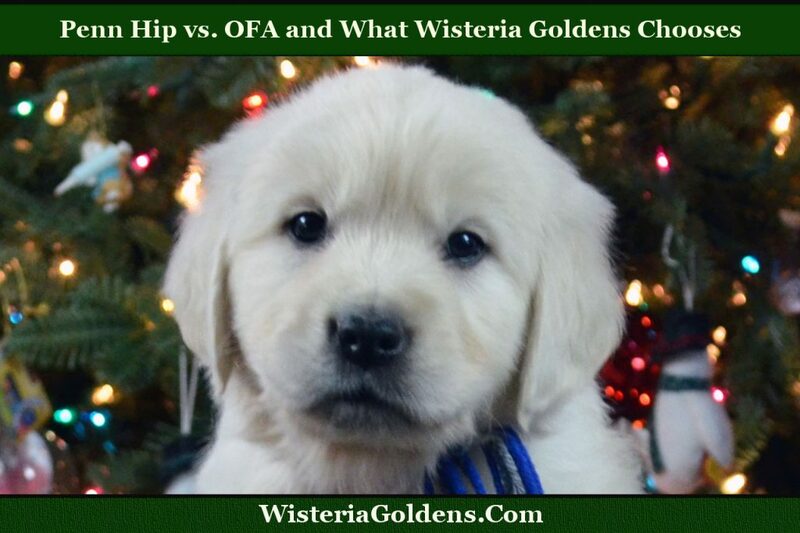 Canine hip dysplasia (CHD) affects many preferred breeds, including Golden Retrievers. Several methods test for or are used to diagnose, both CHD as well as degenerative joint disease. The most popular are the tests called PennHip and OFA. Although the information on the Internet is readily available, dissemination of inaccurate information is also rampant. 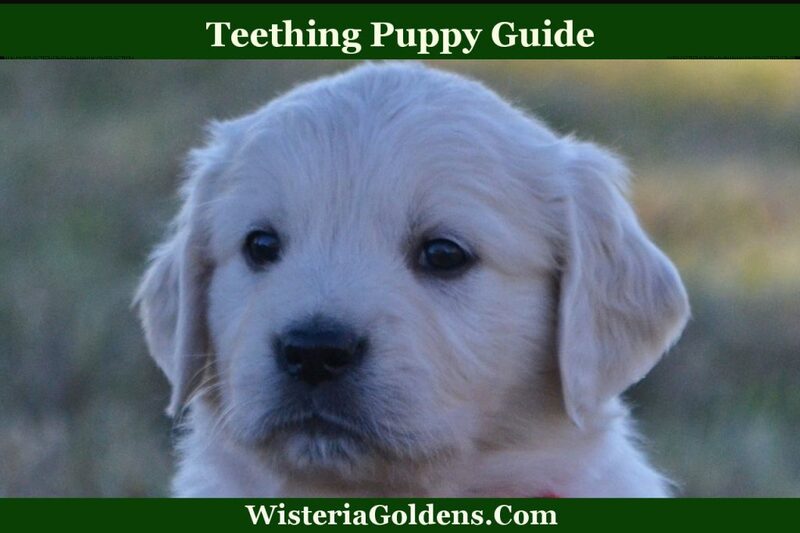 I’d like to explain our decision to use PennHip here at Wisteria Goldens. Sharing Cutting Board Snacks with our dogs isn’t always a good idea but there are a few people snacks worth mentioning which are nutritious and beneficial for dogs. Moderation is a key factor. 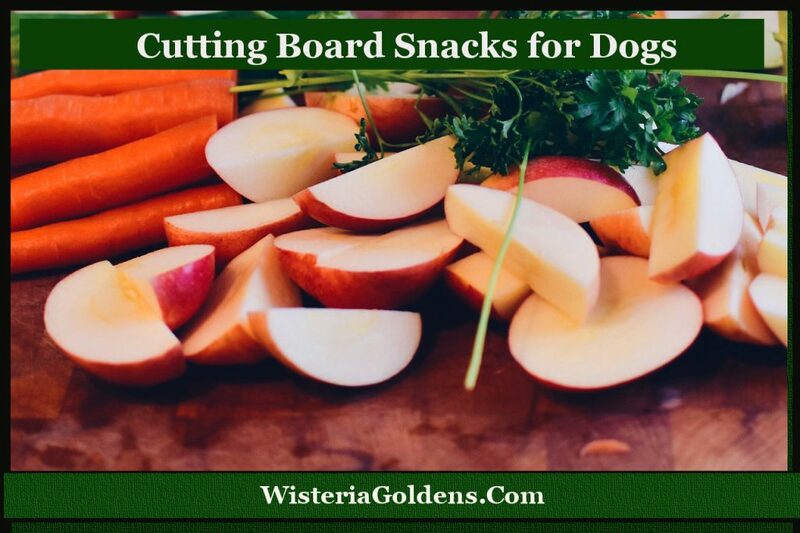 We occasionally share cutting board snacks with our dogs for nutritional reasons as well as to provide a variety of nutritional sources for them. Avoid sharing while you are eating. 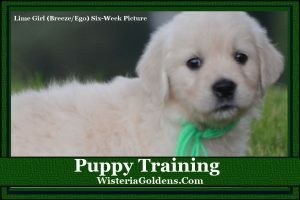 We generally share while we are preparing or during socialization training. For example, we may substitute an apple slice for a treat (once or twice) during a session. Make the snacks bite size to reduce chances of choking. Make the bites sized to ‘fit’ your dog’s age and size as well. I'm often asked “What should I feed my puppy? What do you recommend?” I have always researched the dog food and looked at the first few ingredients, as I was told that these were the most important and meat should always be the first one. The guaranteed analysis was the next important criteria. Should You Shave Your Golden Retriever? Each summer I receive many emails from families asking about “shaving” their Golden Retriever. Should you shave your golden? I did some research and found there is a risk of changing their coat when shaving them. It could either grow back thicker or not grow back properly at all. This is due to the double-coat that Golden Retrievers have. 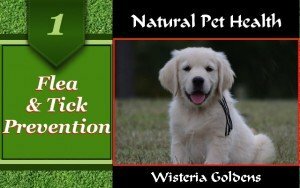 If your Golden Retriever swims a lot and the hair stays wet creating hot spots, then this is a risk you might want to take, but most hot spots are eliminated when feeding a high-quality food, such as Life's Abundance, that does not have wheat or corn, the highest allergens to Golden Retrievers. 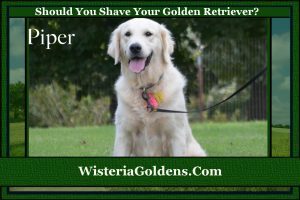 Should you shave your golden?